Courtney worked with Iler & Iler, LLP from 2005 to 2007 and then returned to the firm in 2010, after giving birth to her daughter. As a law clerk, Courtney has experience with initial and ongoing legal filings, discovery, the preparation of motions, and trial preparation, both in the California State and Federal Courts. Courtney is English and Spanish bilingual. 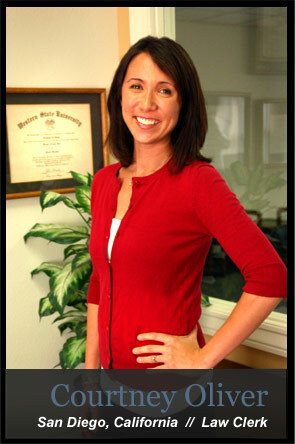 Courtney is extremely happy to be working at Iler & Iler, LLP and looks forward to one day practicing as an attorney.